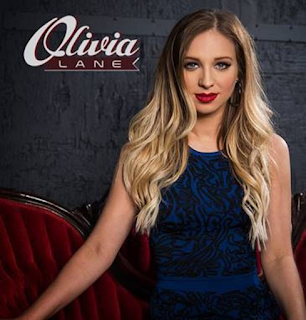 Rising country newcomer Olivia Lane will release her self-titled EP on July 29 via Big Spark Music Group. The compilation includes her current single, “Make My Own Sunshine,” described as “vocally crafted to perfection” (#CM Chat) with “joyful lyrics” (RS Country), in addition to six new tracks. Sparked by the overwhelming fan response to her new single’s take on Murphy’s Law, the always positive Lane launched the #SunshineMovement via videos and social media, encouraging others to spread joy, pay it forward and make their own sunshine. As seen in her first #SunshineMovement series’ video seen here, she spreads the sunshine via hugs in Las Vegas! Previously opening select dates for Cam, Wynonna Judd, Kip Moore and Randy Houser, the powerful and lively vocalist that “just belongs on stage” (CMT.com) can be seen at various venues throughout the U.S. and Canada this summer. Selected for iTunes Country New Artist Spotlight, the radiant Big Spark Music Group recording artist continues to shine bright with her new single “Make My Own Sunshine” climbing the country radio charts. A playful acoustic version of the song is featured on her mixtape HEART UNLOCKED. “Make My Own Sunshine” is available here. For additional tour dates and information on Olivia Lane visit www.olivialane.com. Reach out to her on Facebook, Instagram, Twitter and YouTube.